Taliah knows from experience. Now a student at Old Dominion University, she spent her childhood living in Hilliard House, the Housing Families First shelter for homeless families with children. 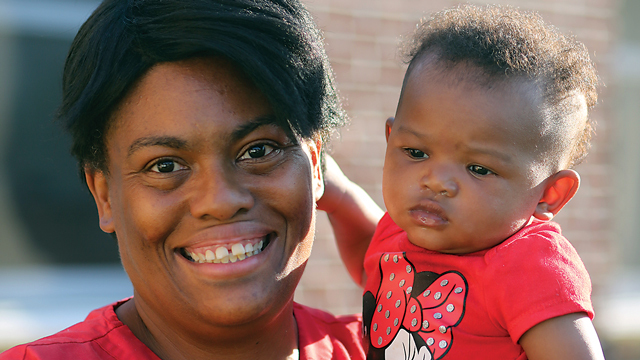 Taliah spent her early years bouncing between her father and homeless shelters with her mother. When she was six, Taliah and her mom moved into Hilliard House, the first shelter where she felt a sense of community. “I felt like I was going home, not like I was going to a shelter,” she said. Hundreds of children like Taliah have been through the Housing Families First program since Hilliard House first opened in 2001. In the early days, Hilliard House was a long-term shelter for homeless women and children. Families like Taliah’s lived in the shelter for up to two years while parents received child care for younger kids and lessons in parenting and budgeting. 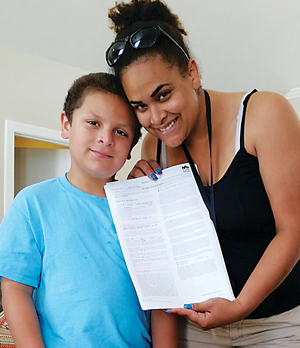 After two years, the families graduated into permanent housing, using the life skills they learned at Hilliard House to set up a new, more stable life. The only problem was the cost. At $25,000 per family, the organization could only sponsor eleven new families a year. So in 2011, the nonprofit changed its structure, based on new research that showed families had more long-term success if they spent less time in shelters. Now, Housing Families First provides about thirty days in Hilliard House, and concentrates its efforts on putting families into permanent housing right away. Housing Families First provides those funds, along with help paying for transportation and help applying for financial assistance. Housing Families First also changed its clientele. The challenge with accepting only single mothers was that it forced parents to split up so they could get their children into shelter. In 2011, the program opened to any family with children – single parents, two-parent households, and families that included a grandparent. And according to Vann-Turnbull, the savings haven’t come at the expense of success. Just the opposite – the success rate has improved since the changes took effect. 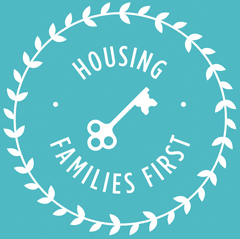 The majority (85 percent) of families served by Housing Families First do not return to homelessness. As for Taliah, she’s double-majoring in women’s studies and business, and working toward achieving her ambition: to open another shelter for women and their children. Experience the splendor of Old Havana in the 1950s – a haven for jet-setters like Frank Sinatra, Ingrid Bergman, Lauren Bacall, and Sammy Davis, Jr.
Don your most glamorous attire, then get ready to sip tropical cocktails and dance the night away, all for a great cause: finding permanent housing for Richmond families facing homelessness. A Night in Old Havana includes a silent auction featuring unique items contributed by generous local and national sponsors. For more information or tickets, visit housingfamiliesfirst.org.